Ed Engle has been a Colorado fly-fishing guide for decades, mostly on the South Platte River, and he built his reputation on imitating small flies to catch big trout. He is the author of Tying Small Flies and Fishing Small Flies, both from Stackpole Books, as well as several other books. Ed wrote a column for American Angler for many years, and he is a frequent presenter at fly-fishing shows around the country. 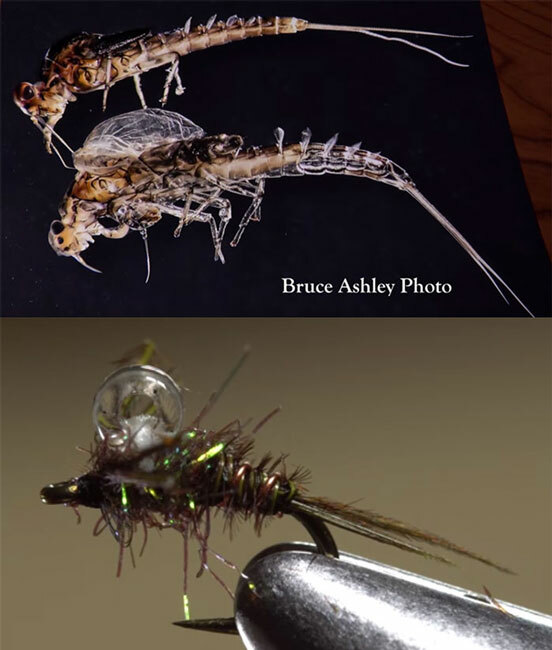 In this week’s video from Tightline Productions, Ed shows you how to tie his cool Bubble-Wing BWO Emerger, which was based on a fascinating photo of hatching mayflies by Bruce Ashley. The emerging wing captures air, creating a glistening bubble on top of the emerging olive, and trout surely key on such a visible feature. According to Ed, the fly has done very well for him over the years, which is good enough for me. 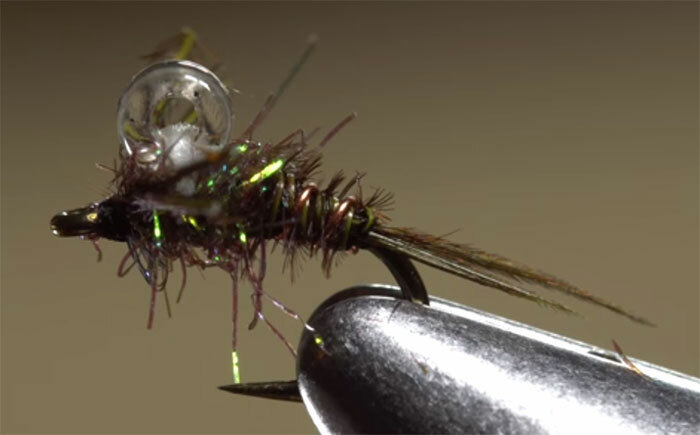 The tying process includes a couple ingenious steps, including using unwaxed dental floss to hold the glass bead and the way Ed employs the same pheasant-tail fibers for the tails, body, and legs. Hook: Caddis-pupa hook (here, a TMC 2488), sizes 16-22. Bead holder: Unwaxed dental floss. Bead: Silver-lined Killer Caddis glass, small. I know a few big rainbows that will go ballistic when they get a load of this! Awesome experience behind this fly and great presentation by the designer. Well done! Where will the fly sit in the water column?